Laurel is the Co-Chair of the GBPC. It was her “pushing” that brought the Barn into focus with the Pueblo community. Laurel is a licensed Legal Assistant, and a recent retiree from the Department of Social Services. Retirement was necessary as she just couldn’t find the time to “work” with all the Barn activities! 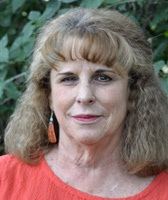 Laurel has served on the Board of Directors of Historic Pueblo, Inc. for 10 years, serving as president twice. She is a member of the Pueblo Heritage Museum and History Colorado. She is a standing member of the City of Pueblo Goodnight Barn Stakeholders’ Group, and is involved with the grant process to restore the Barn.